Johnson City manager Luis Melendez praised his young hurler Chris Narveson in 2000, according to Baseball America. "He's just a kid, but he's a bulldog," Melendez told Baseball America. "He knows what he's doing. He's got the arm to be a big leaguer." Narveson went on to be a big leaguer. Melendez had been there himself, years earlier as a player. 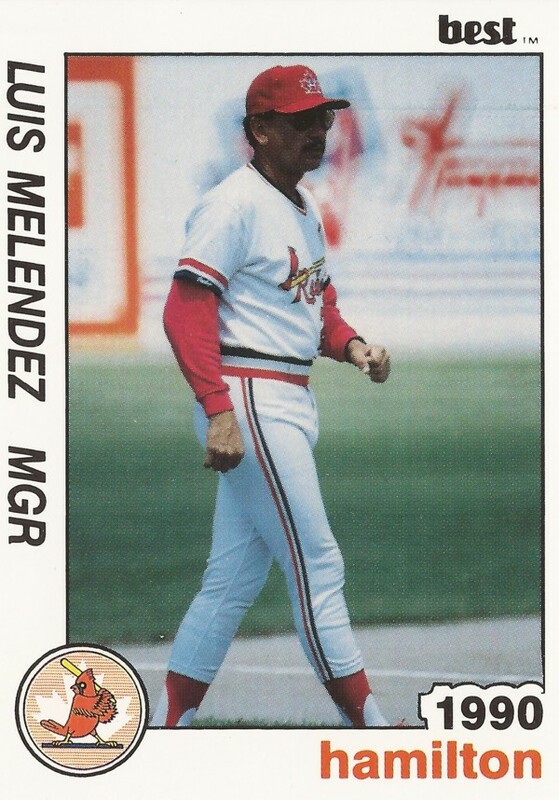 Melendez spent parts of eight seasons there, then went on to a long career as a minor league coach and manager, sending others on to the bigs. Melendez' long career in baseball began in 1968, signed by the Cardinals as an amateur free agent out of his native Puerto Rico. 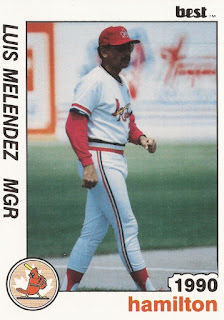 Melendez started at single-A Cedar Rapids. He made AA Arkansas in 1969, then AAA Tulsa in 1970. He debuted in the majors in September 1970. He got into 21 games and hit .300. He returned to the Cardinals each year into 1976. He hit .265 over 110 games in 1975. He also knocked in 27. In April 1975, Melendez launched an extra-inning, game-winner. It was nearly a home run. But, in the situation, the books recorded a single, according to The St. Louis Post-Dispatch. "I can't hit a ball better than that," Melendez told The Post-Dispatch afterward. "I hit that ball real good." Melendez moved to the Padres in a trade in May 1976. He played the rest of that season and part of the next there. He played two more seasons in the minors and in Mexico, ending his playing career. Melendez started is coaching career by 1988. In 1989, he served as manager of the rookie Arizona League Cardinals. In 1990, he managed short-season Hamilton. He managed single-A Savannah in 1994, watching over pitchers like Matt Arrandale. The starter went on a 14-0 run that year. "Half the year has passed, and he's still doing it," Melendez told The Post-Dispatch. "You have to see him pitch to believe it." Melendez went on to manage at AA Arkansas in 1997 and 1998, then rookie Johnson City in 2000 and short-season Batavia for 2003 and 2004. His most recent recorded coaching time came in 2009 as hitting coach in the rookie Gulf Coast League with the Phillies.